Come experience the magic of Upper Shirley Vineyards, a one-of-a-kind estate, winery, restaurant and wedding venue perched above one of the most scenic bends on the James River. Here in Tidewater Virginia the hours unspool at a more gracious pace. Senses awaken, and stress melts away, leaving you space for more meaningful connections with friends and family. 30 minutes from downtown Richmond, and 35 minutes from Williamsburg, located just off Route 5 and the Capital Bike Trail, Upper Shirley Vineyards is ensconced in a rural wonderland. 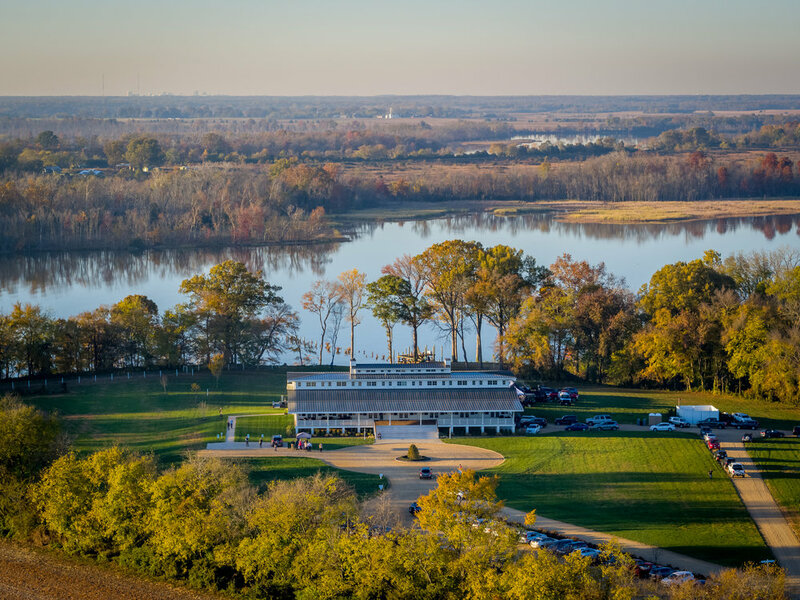 The estate boasts history and scenic beauty on an epic scale and an embarrassment of culinary riches—bottomland produce, fresh-caught seafood—and world-class wines made from our own estate-grown grapes. Join us for Easter Sunday at Upper Shirley Vineyards! Come out with your friends and family to delight in Chef de Cuisine, Ernie LaBrecque’s special Easter brunch menu, featuring delicious Virginia Ham Biscuits, Lobster Benedict, Lamb Frites and much more! Sip on your favorite Upper Shirley wines while enjoying the spectacular river views. Click here to view the menu. For reservations, please call 804-829-9463. *Only brunch menu will be available on this date, no wine tastings, lunch, or small plates will be offered. Treat your mom to an unforgettable Mother’s Day brunch at Upper Shirley Vineyards! Spoil her with Chef de Cuisine, Ernie LaBrecque’s seasonal three-course menu, featuring Soft Shell Nicoise, Steak Frites, Lump Crab Cakes and much more. All will pair well with Upper Shirley’s array of estate grown red, white, and sparkling wines. Hour-long ride that meanders through Upper Shirley's vineyard and surrounding trails as your guide walks you through the vineyard history, the process of grape-growing, and the roll Charles City and Upper Shirley had to play in America's past. Hosted by Two River Trails. 4 to 5-hour, 10 mile leisurely bike ride devoted to the amazing history and health of the Charles City County area and her beautiful James River that has rightly been called The River Where America Began. Rides begin and end at Upper Shirley. $125-$165 (lunch at Upper Shirley optional), wine tasting included. Ours begin as grapes grown both in the piedmont and here on the estate. The fruit at Upper Shirley Vineyards is bathed by river breezes and nourished in the Tidewater region’s deep Pamunkey soil, the oldest tilled earth in the United States. We tend our vines by hand, using age-old methods. It’s demanding work but worth the effort. One taste, and you’ll understand why.